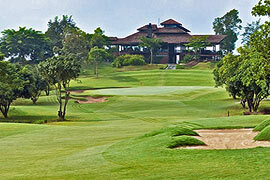 Chiangmai Inthanon Golf and Natural Resort is a relatively new arrival. Designed by Mr. Supachai Silamom, it opened in 2009. 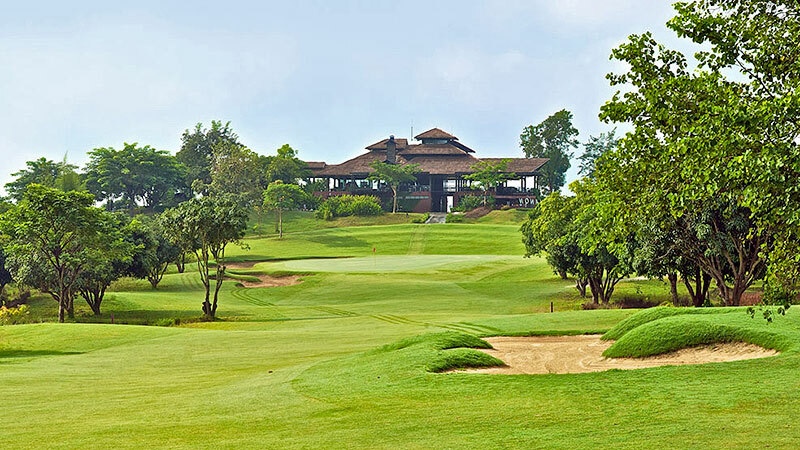 As its name suggests, it has magnificent views of famed Doi Inthanon, Thailand’s highest mountain. Golfers can ease into the course with the par 5 first hole and then two par 4s. But a sense of false security would be unwise. The 7th hole par 4 begins the tests. It’s not long; but the sight of the fairway should ring alarm bells: it’s split in two by a line of trees. Going left offers an easier approach but risks a swim. Going right means a more difficult approach shot with bunkers lurking. Water also comes into significant play at the daunting 13th hole. Another par 4, it involves a fairway that curves left with a bunker either side of the landing zone and water on the right, followed by a shot onto a green surrounded by water, with bunkers to the right and behind. 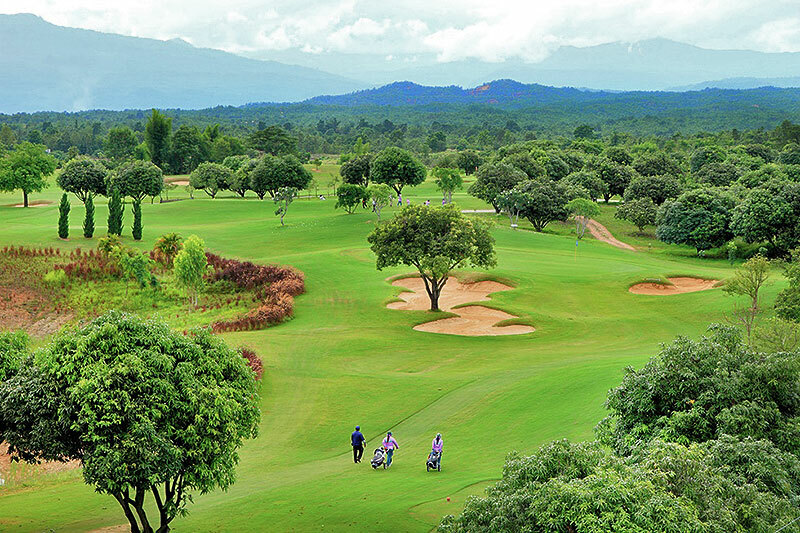 The 17th and 18th holes are arguably the most scenic in Thailand but admiring the view could be a mistake, especially at the signature 17th. The tee-off is over a lake, with a dogleg right in the fairway and sand traps on both sides of the bend. More danger lurks with bunkers either side of the elevated green. But once you’re there the reward is a breathtaking beautiful view over the jungle to Doi Inthanon. The unusual timber clubhouse deserves a couple of hours enjoying refreshments and the restaurant has excellent Thai and international cuisine. Use of golf cart is available on request. Maximum 2 golfers per cart is permitted. 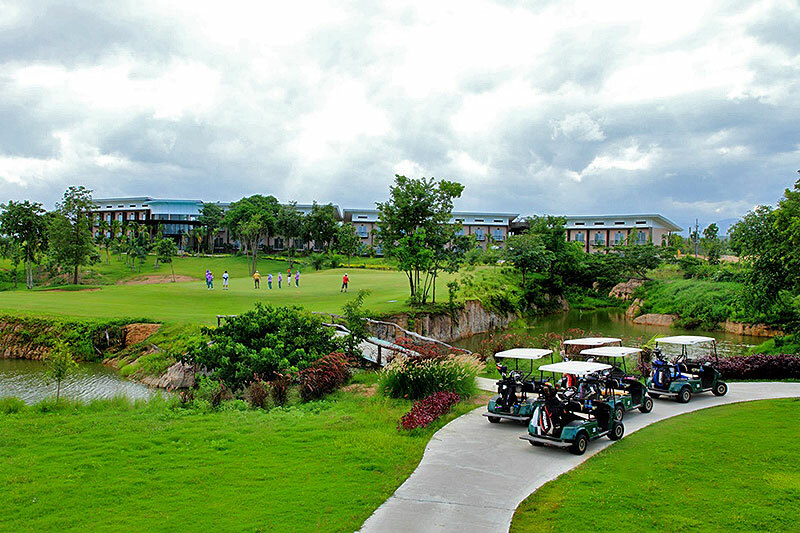 The golf cart rental is 700 Baht / 1 cart / 1 person, or 1,100 Baht / 1 cart / 2 persons. Rates above are NOT inclusive of caddy tip. 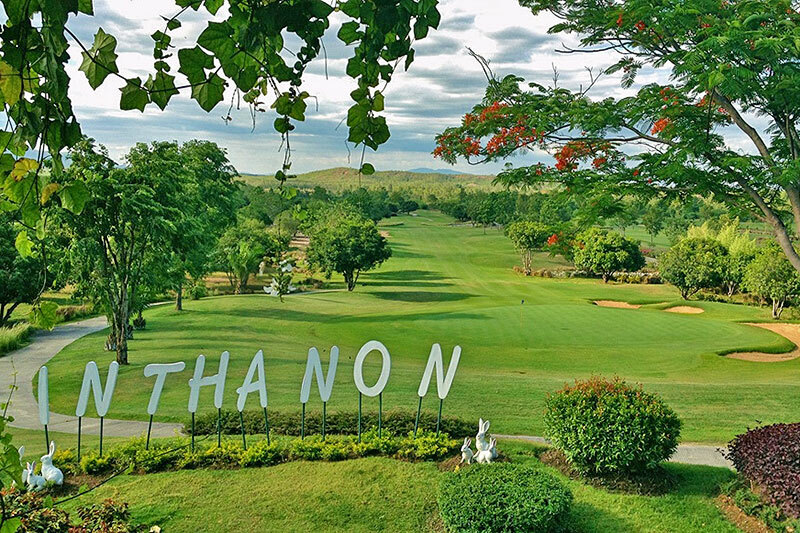 Chiangmai Inthanon Golf and Natural Resort has recommended to tip their caddy from 300 Baht. You can give it directly to your caddy after the game. 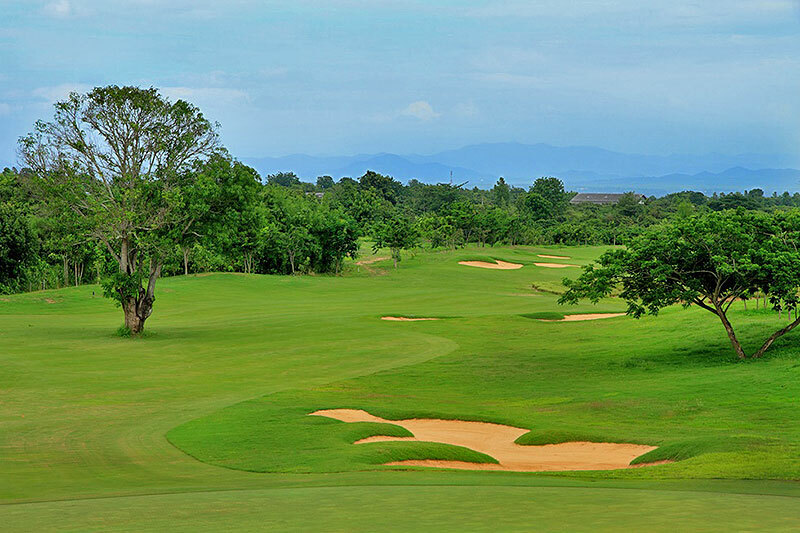 Follower fee of 500 Baht/person must be paid to the proshop, if you have non-golfers accompany into the course please inform us in the booking form. Children 0-3 years old without extra bed is free of charge for room and breakfast. Children 4-11 years old without extra bed is ฿80 for breakfast. Children over 12 years old charged at ฿800 for extra bed and breakfast.